One of our favorite consumer advocates, travel expert Christopher Elliott shares the smartest ways to travel in this tip-packed guide from National Geographic. Drawing on more than 20 years of experience as a consumer travel advocate, Elliott gives you the inside scoop on how to navigate the landmines of travel, with detailed advice on airlines, car rentals, cruises, hotels, the TSA and security, vacation rentals, passports and visas and much more! I’ve spent my career covering an industry that’s perfected the art of separating you from your money. How to Be the World’s Smartest Traveler is the antidote to a business that has lost its way, too often relying on customer-hostile policies and junk fees to eke out an undeserved profit. I’ll explain precisely how the travel industry takes your hard-earned vacation dollars and time from you and then coughs up a substandard product. You deserve better. I’ll help you get it. 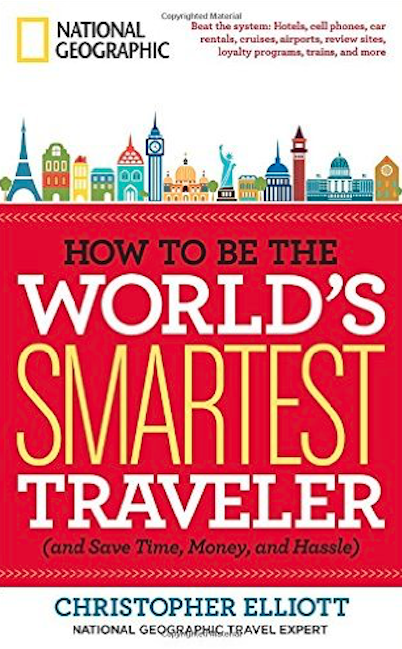 Use this book to plan your next trip and be one of the "world’s smartest travelers".